1. Take flour, suji/semolina (slightly roasted) & 1 tsp saunf/fennel seeds (grounded) in a bowl. 3. 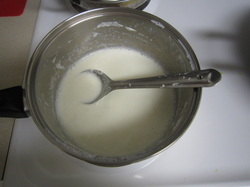 Add the thickened milk to the dry ingredients in the bowl and mix all to make a smooth batter. Let it brown lightly & turn it over gently with help of sharp flat edge spatula, without breaking it. 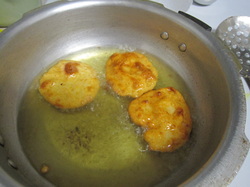 (there maybe some sticking of the malpua at the bottom, but scrape it off with spatula & turn it over) Don't let it over brown or get hard/crispy. Make few at a time to allow space for turning over. Make sugar syrup in some open kind karahi/pan & dip the puas into it. 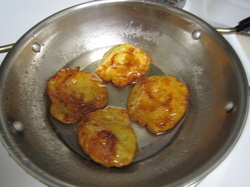 Turn them over & then after 5 min take them out into a dish for serving or storing. Garnish with chopped or shredded almonds/cashews or pistachios (optional) You may sprinkle little cardamom powder for flavor. 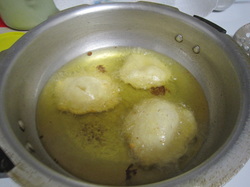 Recipe for these delicious Malpuas is now out!!! 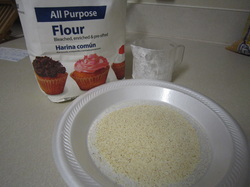 TIP: You can reduce the amount of all ingredients to half for trying out first. 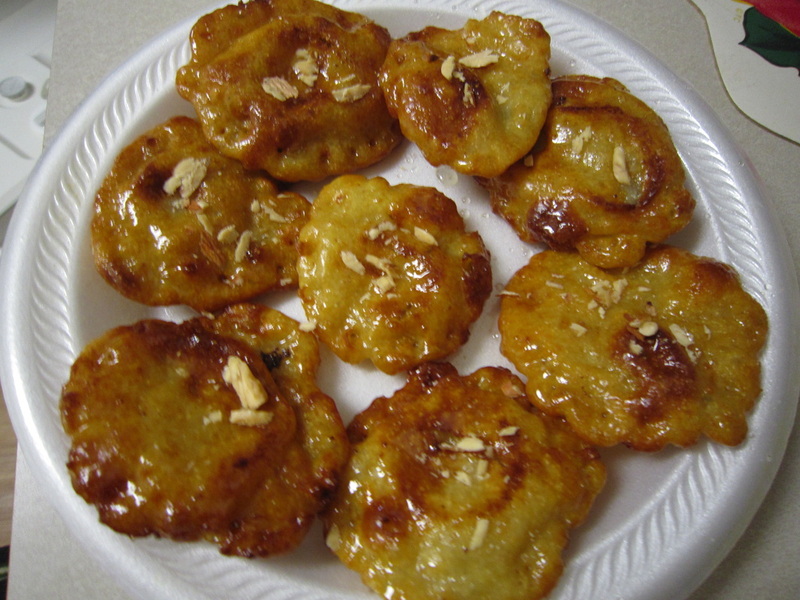 Also, you may try substituting some milk with cream or malai.